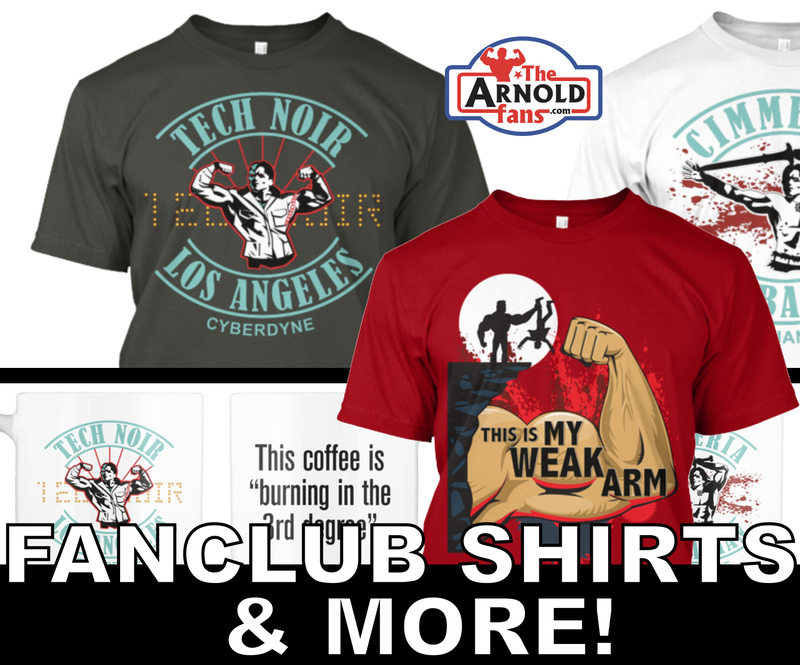 TheArnoldFans - News - TAFs Exclusive: Arnold Talks Terminator Genesis with Us! Even though I’ve been participating in an amazing adventure already on Friday and Saturday here at the Arnold Sports Festival, Sunday, the last day, has always been the best day. This year again is no exception as I’m in the front row of the Sunday Morning Showcase, an hour-long fan interaction with Arnold Schwarzenegger. Corey, my brother, is also here today with me representing TheArnoldFans.com with our press badges. Naturally, Terminator is a hot topic so here’s what the lead actor of Terminator: Genesis told us today. 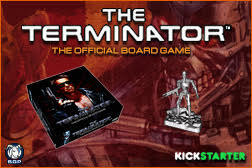 TheArnoldFans.com: You start filming the new Terminator movie next month. Can you give us a tease of what to expect? 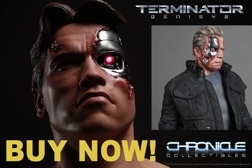 Will your Terminator model be the same? Schwarzenegger: "The Terminator. You're right. We start filming in the middle or in the end of April and it will be a four or four-and-a-half month long shoot. We will be filming it in New Orleans with some of it in San Francisco and maybe a little of it in LA but most of it will be done in New Orleans. I'm really looking forward to that because as you know, the last time when they did the Terminator, it was when I was Governor and so I couldn't be in that movie but now I'm back again and they are very excited about having me in the film. And David Ellison, who has produced all the big movies lately, has plenty of money to do it well. 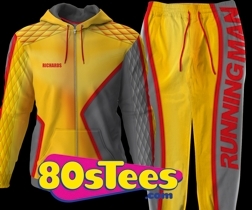 He's in partnership with Paramount Pictures who are going to release the movie through their distribution. I'm really looking forward to that and it's going to come out on July 4th weekend in 2015. The movie preparation is going well. The script is fantastic so I'm really looking forward to this film." We also learned Joe Manganiello, star of Sabotage, was sitting in the room. TheArnoldFans.com: I had a fantastic weekend as always; So many things going on. It's been great to see you, Jason Statham and Joe Manganiello yesterday. Schwarzenegger: "Where's Joe? Oh, he's right over here. Say hi to Joe Manganiello, a great actor. We're good friends. He works out very hard every day and has a fantastic body. You probably saw him on Muscle & Fitness magazine as he's ripped with abs. A six pack. He has a fantastic career and we are coming out with a movie. As a matter of fact, we have a screening here today, this afternoon for the film called Sabotage. He did a fantastic job and that's how we became friends and it's really great to see him here at the Arnold's Classic. I just wanted everyone to know he's sitting over there!" Immediately following the Sunday Morning Showcase, Corey and I quickly headed over to that advanced screening of Sabotage! As a reward for all the biggest Arnold fans attending this year’s Classic, Arnold arranged a three-week-early showing of Sabotage and the fans were pumped! Arnold and Joe Manganiello, his co-star, introduced the film before it started. But this full story and my review shall soon be told. Want more? You’ll be back!